6 easy ways to get rid of your autumn blues! Indian summer is a magical time … a period, in which the nature starts slowly preparing itself for winter. It’s a time, in which surrounding us plants and trees surprise us with diversity of their colors, as well as scents typical of this particular season of the year. It’s an ideal moment for drowning out the noise after full of exciting experiences summer and setting into a little bit more lazy winter mood. Unfortunately, beautiful autumn weather doesn’t last forever and for some time it gives place to chilly, rainy and gloomy days, which are often a source of bad mood or depression. How am I going to deal with my autumn blues? Here are a few easy ways, which will improve your mood for sure! Why do we feel a lot better in summer than during other seasons of the year? The reason is pretty simple, yet a little bit surprising! In summer we pay a lot of attention to ourselves. I don’t really want to say that we become self-centered narcissists, but for sure we try to work more on ourselves in different spheres of our lives. In my experience, I know that I’m much more interested in my own appearance during warm summer months than in winter, when the only priority to me is not to be frozen to the bone and warm myself in a cozy and pleasant place. Besides this, during summer, we’re much more active and we try to move a little bit more often. In this way, we allow our brain to oxygenate more, as well as to relax more. Our increased activity results in more frequent contacts with our friends and acquaintances, which makes us feel happier and more needed. It’s worth trying to behave the same during the autumn time. Of course, it won’t always be possible to do exactly the same things due to pretty obvious reasons, but we should always try to maintain a certain level of activity not only the physical one, but also the social one. Let’s travel, meet your friends, take care of yourself no matter which season of the year it is! Of course, I’m not going to suggest that you should leave everything you were passionate about or everything that made you happy. If you feel burnt out in certain fields or you need some new incentives which would allow you to spend your time in a more active way … look for a new hobby, a new passion, which could make you feel that you’ve got something to live for and something to wait for. 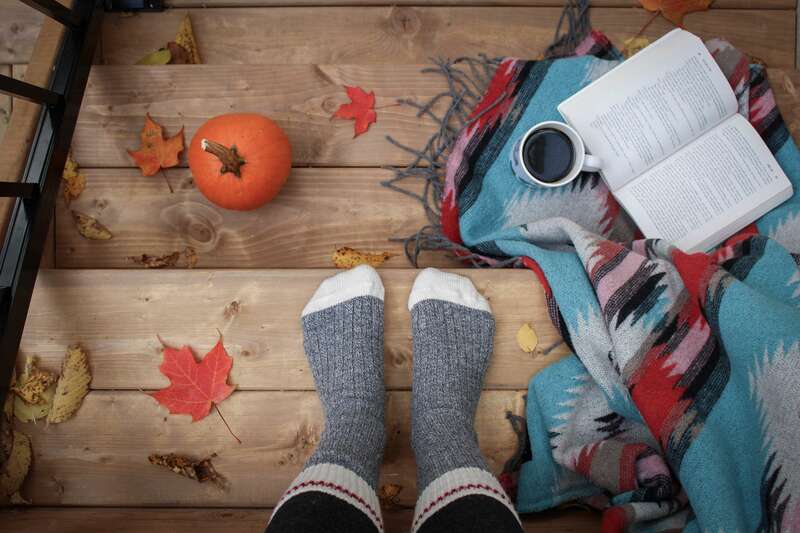 You should look for something that could make all these long autumn evenings a little bit more pleasant, as well as something that could allow you to get some rest from work. What could it possibly be? Literally anything, which triggers positive emotions in you and gives you an extra motivation to take actions. 3.Don’t allow bad weather to ruin your plans! Any kind of weather is good to have a good time. It’s true that autumn is a little bit more demanding season and you can’t always put all of your plans into action, as the weather can successfully bring them down. you need to become more flexible, which means that it’s really worth being equipped with a so called backup plan, which you will be able to put into action if your initial plan doesn’t work out. Don’t lock yourself up and don’t stay at home all the time! Any time of the year is good to pursue your goals! Don’t treat your friends seasonally. Try to find some time for them more regularly. I know it’s not that easy, especially if you take into account all your daily activities and everyday duties, but I think it’s sometimes good to dedicate yourself to people, who are important for you, because staying in touch with your friends makes you more motivated to take actions and as it was earlier mentioned you also feel more needed. Besides this, it gives you a wonderful opportunity to offload and clear your feelings and emotions. Nothing can improve your mood like shopping! I just love buying new clothes, but also searching for them in various places! Besides this, autumn and winter, are the seasons of the year, which are a little bit more demanding than spring or summer. That’s why, it’s good to equip yourself with clothes which will not only look well, but will also be functional. Thanks to proper clothing you won’t have to resign from your plans, because you will be well-prepared to all kinds of weather conditions. 6.Allow yourself to have a moment of pleasure! Even if you don’t have so much time for that in autumn, try to remember about some pleasures … even the simplest ones. It’s worth finding a moment for a hot bath and your favorite book! In my case, coffee and anything sweet can always improve my mood … it doesn’t matter what it is, the thing which really matters is to find a way to make yourself happy and relax before the next days of hard work! I hope that these tips will successfully help you to get rid of your autumn blues! How are you going to improve your mood? These are some great ideas. I find reading helps me out a lot. Or eating pumpkin foods. I love these ideas, I think the weather is the one that puts me down so I will try and not make it bother me. The moment of pleasure needs to happen daily. My pleasure is a sweet treat like a cookie. This is really good and informative. You have created the article very well. It is going to help me. These are great ideas. Reading and drinking lots of tea works best for me. Thank you for these great tips! Often people don't realize some of these methods that can be used to cheer up. Thank you for sharing. These are some great tips. I especially love the finding new passions. That will be super helpful when the weather is too cold to get out and do anything outdoors. I love fall and the seasons leading up to Christmas. After Christmas is when I will use these tips. Thank you for the ideas. This is what I tell my hubby that you can enjoy in any weather. We shouldn't stick to sunny days for fun, we can also have indoor or some outdoor interesting activities on rainy days. I love the fall and love to focus on the awesome weather and pretend winter is not around the corner. My favorite part is getting out the warmer fall clothes. I actually didn't know Autumn blues was a thing, but I'm all for finding positive outlets. I can use this list for ANY type of blues. Autumn is my favorite time of the year. The weather is cooler, you can actually go outside without being miserable and uncomfortable. I don't really understand why people dislike Autumn so much. Great tips! #6 is everything. Definitely such a great compilation that we need to keep in mind. A big yes for not letting the season ruin our plans. All of these are great ways to appreciate the fall. Time with friends is always important. And going out despite the weather is a good way also to boost your mood. Love fall weather anyway. These are great tips, yes Autumn is wonderful season but it makes us a dull feeling because of lack of sun. I've got to admit! i am much more of a summer person but still quite like autumn. Night at 4 and the cold are what give me autumn blues! These are such lovely ideas and I totally agree that we take care of ourselves more during summers. Thanks for the tips. Yes to all of these! I try to find more hobbies and enjoy some time with friends. We sometimes need some company to shake the autumn blues away. These are some great ideas. Your blog is enriching. It just enhances my knowledge of the topic. Thanks for sharing this. I also changed my wardrobe...or at least upgraded by added some new pieces. This year had been especially difficult for me so I need to cope. This was actually a great post because I subconciously was probably about to feel the autumn blues soon. I am a spring/summer girl because I love being outside and enjoy the sunny weather but you gave good tips on how to not let the change of weather stop plans and emotions!